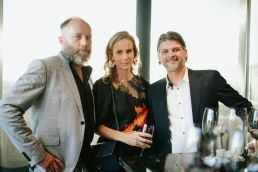 Australian fine wine brand, St Hugo has celebrated its newly announced partnership with Formula 1® Rolex Australian Grand Prix 2019, hosting an exclusive launch event held at The Blackman Hotel penthouse in Melbourne. The star-studded event included Australian actresses Rachel Griffiths and Jodi Anasta, who joined father and son Australian Formula 1® racing duo David Brabham and Sam Brabham – members of the of the Brabham family racing dynasty, for an evening of trackside entertainment to kick of the Grand Prix weekend. 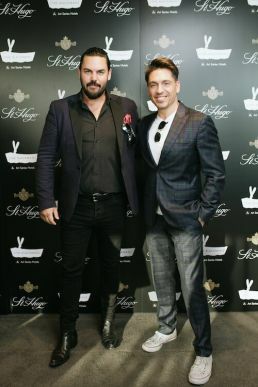 Other guests included Thurley designer Helen O’Connor, actor Ben Mingay, Michael Falzon, Takaya Honda and Shaun Birley. 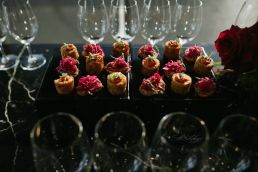 Presented in The Blackman Garden Room Penthouse, with unrivalled panoramic views over the Grand Prix circuit as a backdrop, guests were treated to a luxurious evening of wine, art and racing history in the lead up to this year’s Formula 1® racing events. 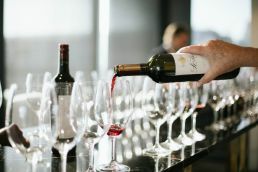 The evening included an exclusive wine tasting experience with St Hugo’s Chief Winemaker Peter Munro, who took guests through a tasting of St Hugo’s flagship Coonawarra Cabernet Sauvignon to showcase Australian winemaking at its finest. 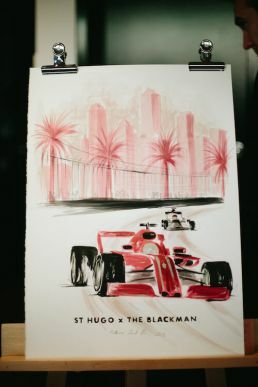 Accompanying the fine wine and food, an immersive live art display took place, entertaining guests by using red wine for paint to create a stunning work inspired by vintage Formula 1® posters. 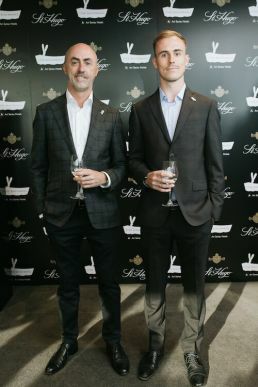 St Hugo is the official wine supplier of the race in Australia; a partnership which combines an iconic Australian fine wine with one of the most prestigious sporting events in Australia. During the race, the Formula 1® Paddock Club will welcome selected VIPs for the ultimate world-class hospitality, including a bespoke wine lounge reflective of the world-class home of St Hugo which has been created for guests of the Formula 1® Paddock Club.